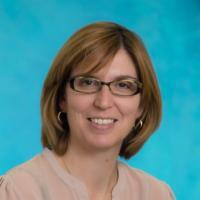 Professor Beth Lazazzera, Associate Professor of Microbiology, Immunology and Molecular Genetics (MIMG), has accepted the position of Chair for the Life Sciences Core. Beth has extensive experience in curriculum development, teaching pedagogy, and administration that will provide an excellent foundation for the position. Her position is effective July 1, 2019, and she will be vice chair of the LS Core working with the current chair, Professor Frank Laski, effective April 1, to help with the transition. The LS Core recognizes Professor Frank Laski’s ten years of dedicated and exemplary leadership as chair of the LS Core, leading to significant pedagogical and administrative advancements in the LS Core program. Beth Lazazzera received her Ph.D. in Bacteriology from the University of Wisconsin, Madison and was a postdoctoral fellow at MIT. She arrived at UCLA in 1999 and joined MIMG. She has participated in numerous instructional activities at UCLA and has taught the “Introduction to Microbiology”, MIMG101, course since 2001. This course has grown to ~300 enrollments per quarter, and she has been proactive in applying new pedagogical strategies to improve the education experience of her students. She has been participating in workshops offered by the Center for Education Innovation and Learning in the Sciences (CEILS) since its inception and was a Scientific Teaching Fellow at the Mobile Summer Institute at UCLA. She also participated in the committee that led to the successful restructuring of the LS 1-4 series to the new LS 7 series within the LS Core. Beyond her teaching at UCLA, she concurrently spent 5 years as one of the lead instructors for the Cold Spring Harbor Laboratory Advanced Bacterial Genetics Course. Dr. Lazazzera is currently the Vice Chair of Undergraduate Education in MIMG and is a past-Chair of the Academic Senate Undergraduate Council.